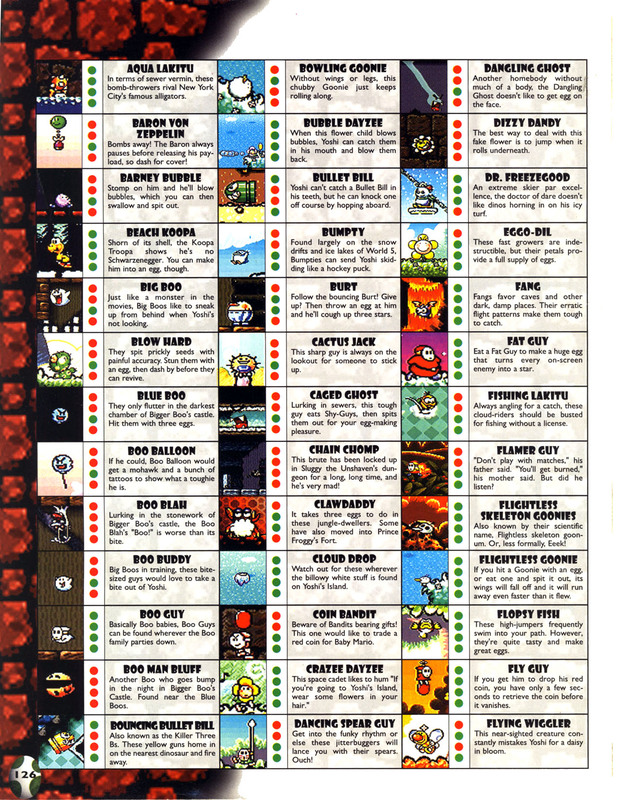 Fooly Flowers, originally known as Dizzy Dandies, are flower head enemies that appear in every Yoshi's Island game to date. 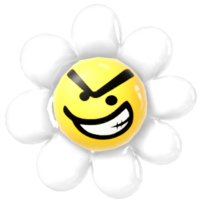 At first sight they will look like the collectible Smiley Flowers, floating in midair, but with a menacing grin. However, when Yoshi approaches them, they will drop to the ground rolling very quickly, squashing any enemies, and hurting Yoshi upon contact. They disappear after hitting a wall. Yoshi can also cause one to prematurely attack by shooting an egg at it from a distance. 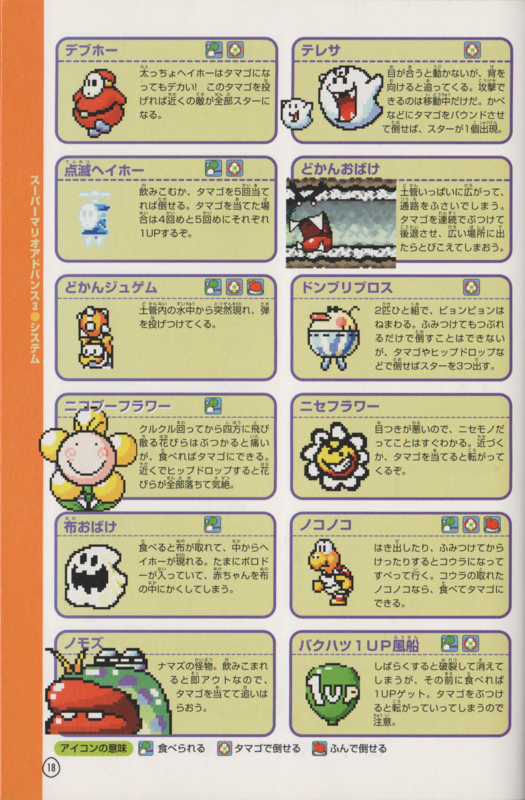 ↑ 「スーパーマリオヨッシーアイランド任天堂公式ガイドブック」 (Super Mario: Yossy Island Nintendo Kōshiki Guidebook), page 5. ↑ 「スーパーマリオアドバンス3任天堂公式ガイドブック」 (Super Mario Advance 3 Nintendo Kōshiki Guidebook), page 18. This page was last edited on April 2, 2019, at 01:41.